While we specialize in petroleum locations, PCS is more than capable of servicing your retail location. In fact, thanks to the tremendous volume of our petroleum portfolio, we have some of the lowest rates in the industry, and we offer true cost-plus pricing (interchange-plus) so our customers always pay the lowest possible percentage on every transaction!! Whether you have a simple credit card swipe machine or a complicated POS interface, we’re compatible, knowledgeable, and ready to serve you! In addition to saving our retail clients money on processing fees, we offer revenue generating products like Gift Cards programs, check authorization and conversion services, ATM's, and loyalty programs. Rest assured, whether you are c-store chain, a jean boutique or anything in between, you will always receive the same excellence in service that our company was founded on! Contact us and see!! To PCS, we’re not just another customer! PCS prides themselves in customer satisfaction, which gives us the sense of security that every business owner should expect. Whether you want daily information, problem resolution, or custom account setup, you can always expect personal attention to meet your business needs. Demand the industry's best... demand PCS . Our Agents are always available! 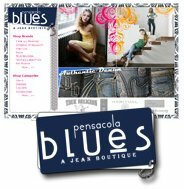 PCS provides Pensacola Blues with processing at both of their locations as well as their online shopping. Pensacola Blues utilizes ClientLine reporting for their accounting and inventory purposes, and EFS Net for their online shoppers. © Copyright 2007 Petroleum Card Services is a registered ISO/MSP of Wells Fargo Bank N.A., Walnut Creek, CA. American Express require separate approval.